I had my twins at 30 weeks, which was 7 weeks earlier than I planned. Being 10 weeks premature meant a long NICU stay for my babies. After five days in the hospital, I was sent home and I had to rely on the doctors and nurses to take care of my babies. I'm not going to lie, leaving them for the first time was the hardest thing I've ever done. I felt like a bad mom for leaving them and I felt equally bad for being away from my oldest who didn't understand what was going on since she was only 1. Thankfully, after the first few days the guilt wore off, and I realized that they were in great hands and that they were right were they needed to be. Molly was in the NICU for 42 days and Mark was in the NICU for 50 days. And in that time, I met and formed relationships with several of the nurses. My favorite nurse was named Sonia. Sonia was a wonderful nurse to my babies, but even more important, she was a wonderful person to me. Having two babies in the hospital is such a stressful time and Sonia always took the time to explain things to me in a way that my frazzled brain could understand. 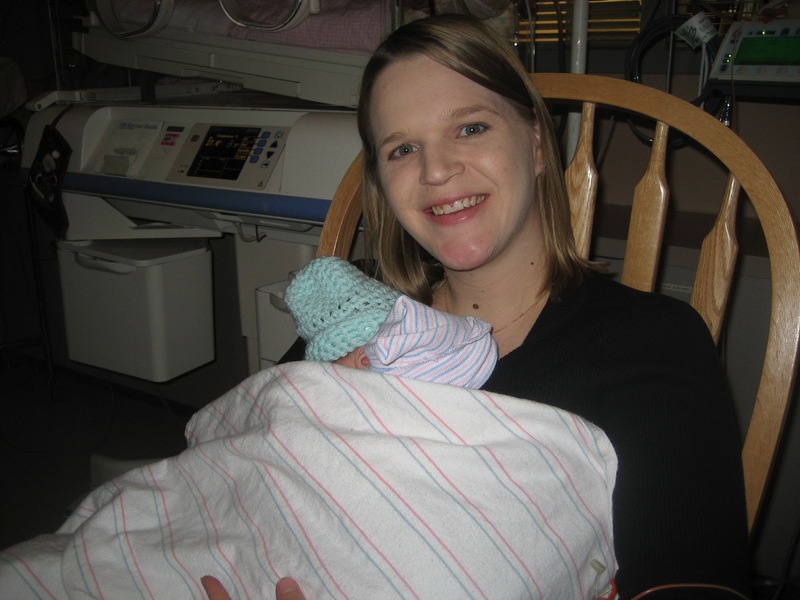 Her patience and caring nature made the time we spent in the NICU much easier. And, she was also the first person to suggest that I hold the babies kangaroo style at the same time. She even took a picture of the moment for me. I'll never forget this moment! The twins were still hooked up to their monitors and I saw that their heart beats were in sync after a minute on my chest. Besides taking them home from the NICU, this was my favorite moment during that trying time. I will never forget how often Sonia went the extra mile for me and my kids and how much comfort she brought me during that stressful tine. Do you know an amazing nurse too? You can nominate him/her for Johnson and Johnson's Amazing Nurses Contest. (the last day to nominate is 6/29) I nominated Sonia and I really hope she wins. If she does, she will attend the 2012 CNN Heroes: An All-Star Tribute show in Los Angeles, courtesy of CNN. She will also be honored in a video profile which will be screened before the live audience at the show, and featured on the Nursing Notes by Johnson & Johnson Facebook page. I'm really thankful for the amazing care that Sonia and the other nurses gave my twins while they were in the NICU. It's a very tough job and it's only going to get harder considering the nurse shortage this country is facing. Did you know that there are currently 100,000 nurse position vacancies in the US right now? And that number is expected to grow to 800,000 by the year 2020! That is a scary statistic and it makes me even more thankful to nurses like Sonia. I hope you will take a moment to nominate an amazing nurse that has impacted your life. Visit the Amazing Nurses Facebook Page or website to nominate the amazing nurse in your life. I feel terrible for saying this, but I don't remember the names of the nurses we had. That's so bad. I can say that they were wonderful people. They were so kind and took care of my baby and I. One of the nurses remembered us from G was born. She was our nurse with Baby M. I believe her name was Kathy. I thought it was amazing how she remembered our family after 3 years! That is amazing that she remembered. I don't remember any of the nurses from having Isabella, but then again I was only there for 1 day so I don't feel bad about it.